The McCormack family has been in the communications business for over a century. Telephone pioneer B. W. McCormack began his career in 1910 and in 1921, founded Ellington Telephone Company (McCormack / Ellington Telecom), one of Missouri’s few independent telephone utility corporations. The company continues to operate under the same family management today. McCormack provides local telephone service, high-speed broadband Internet access, and long distance service through its network of IP and digital switching centers— interconnecting customers across hundreds of miles of underground cable facilities in southeast Missouri. The company serves five exchanges and portions of Reynolds, Shannon, and Carter counties in the beautiful, yet rugged Missouri Ozarks. In 1983, the company expanded and began marketing business telecommunications products and services outside its five-exchange operating area. Over 30 years of competitive communications equipment sales have earned McCormack recognition as a leader in the business. McCormack’s Network Sales & Service department (mccormack-networks.com) provides complete, turn-key project installations including Communications Solutions for Home and Business, Fiber Optics, Voice Over IP, Data Networking, Consulting Services, and more. For projects requiring Cable Placement, Optical Fiber Installation, Directional Boring, or Excavation Services, McCormack’s construction division is supported by its experienced crews, specialized service fleet, work equipment and machinery. In addition, McCormack’s new Operations Center was completed in the summer of 2013. McCormack locally employs a full-time staff of skilled technicians, engineers, administrative assistants, customer service representatives, cable splicers, plant crews, and equipment operators. 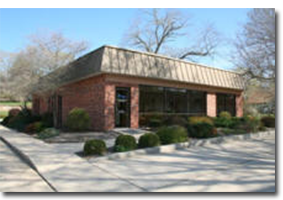 McCormack maintains a Network Operations Center and provides 24-hour emergency repair service response. McCormack is proud to be a community-based, family-owned company. We stand by our products and services and we are happy to be part of your neighborhood. Stop by our local business office today—we look forward to serving you!